The Group of Seven unwillingness to invite Russia to the upcoming summit is a missed opportunity to resolving crises, according to the heads of two German business lobby groups. "A G7 meeting with Russia could contribute to solving crises and stir Russia into constructive steps in the Ukraine conflict,"chairman of Germany's Committee on Eastern Economic relations, Eckhard Cordes told Die Welt am Sonntag newspaper, adding that it’s always better to talk with each other rather than about each other. Germany's Committee on Eastern Economic relations represents the interests of about 200 companies with investments in Russia, according to Reuters. Matthias Platzeck, chairman of the German-Russian Forum business lobby and senior member of the Social Democrats (SPD), also believes it is time for Russia to rejoin the G7. "The process of disintegration in the Middle East, in Iran, Afghanistan and Syria can only be solved with Russia," he told the paper, saying that international terrorism can only be fought with data provided by Russia's secret services. 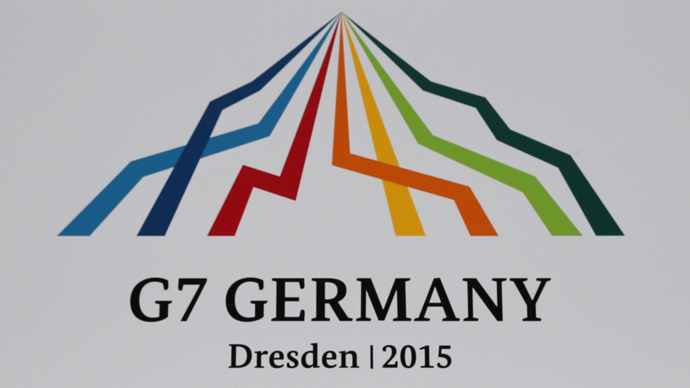 The summit of G7 countries will be hosted by Germany on June 7-8 at the Elmau castle in Bavaria. Russia was expelled from the club last year in protest over Moscow supporting the referendum in Crimea, where the majority of people voted for secession from Ukraine and for joining Russia. The G7 leaders then refused to participate in the G8 meeting in Sochi. The Group of Seven currently includes Germany, USA, Canada, Japan, France, Britain and Italy. On April 15 German Foreign Minister Frank-Walter Steinmeier said that the G7 countries do not share the goal of isolating Russia and, on the contrary, would like to see it once again become a part of G8. However, given the situation in Ukraine, it is still impossible, he said. Moscow reacted by doubting the Group could be effective without it. “Naturally, the discussion of global issues without Russia’s participation can hardly be effective or lead to any type of action,” Kremlin spokesman Dmitry Peskov said.